Product prices and availability are accurate as of 2019-04-16 17:39:24 UTC and are subject to change. Any price and availability information displayed on http://www.amazon.com/ at the time of purchase will apply to the purchase of this product. Encourage your little ones' creativity with this 3D foam kit by Creatology. 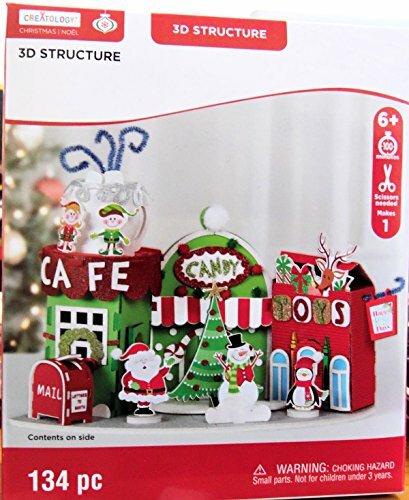 Complete with foam shapes, chenille stems, cotton and other accessories, this kit is perfect to make a cute Santa's Christmas Holiday Town.